Here’s a link to a video of a two-ship formation practice flight out of Boulder City, NV (KBVU). 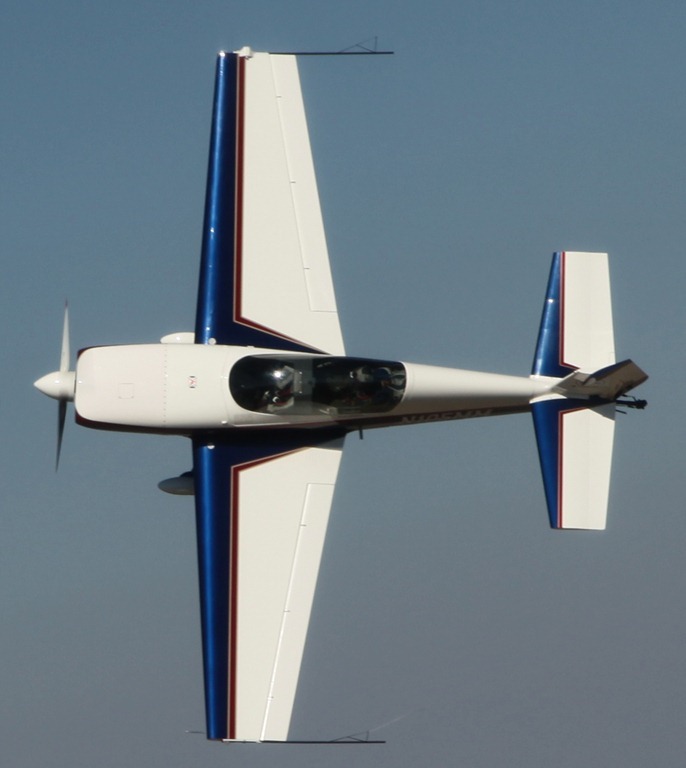 Lead, as usual, is in his RV-6A. He is a retired Air Force fighter pilot and instructor well-versed in the art of formation flying. 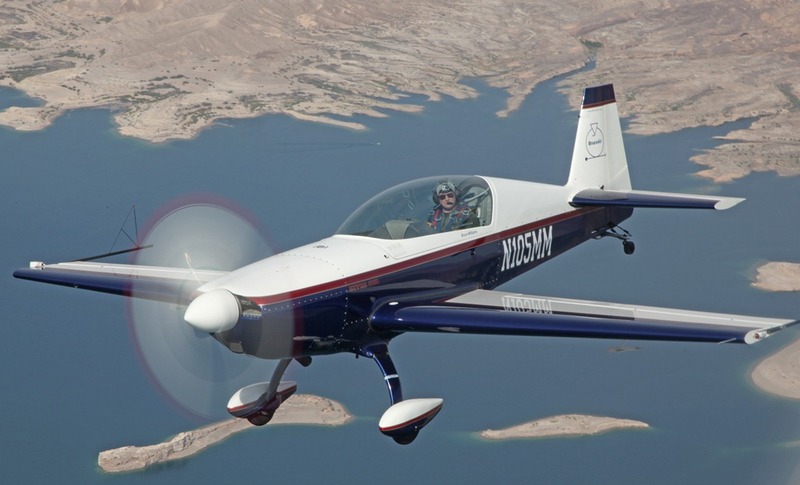 (Here’s an article about one organization that trains civilian pilots in formation flying.) I am in my Extra 300L. I flew the Extra 300L from Seattle to Boulder City, NV the other day (KBFI-S39-KSPZ-KBVU) on its annual winter migration. While in the Las Vegas area, I practiced formation flying and flew a couple of photo shoots over Lake Mead and the desert south of KBVU). Sample picture below; album of photos (all pictures of the Extra by Pat DuLaney) here. I’m wrapping up the aerobatic flying season in Seattle. Yesterday, I put together a highlights video that showcases some of my best customers. None of the folks in this (long) video are pilots; they just wanted to experience aerobatics. Even if you don’t watch the entire movie, skip ahead so that you don’t miss the comment in the final seconds. It may become BruceAir’s new slogan (replacing Every Seat’s a Window Seat on BruceAir). Still images from the video are available in this album at SkyDrive. I also recommend watching it in HD at YouTube. In other words, LP procedures are non-precision approaches (they don’t offer vertical guidance) that use WAAS signals and data to emulate a localizer-only procedure. Don’t confuse LP approaches with LPV procedures; LPV approaches offer vertical guidance like an ILS. According to the FAA’s summary of IAPs, there were 344 published LP procedures at the end of July 2012. But as of September 2012, you still can’t fly these procedures, because the data needed to fly them haven’t been added to the Jeppesen NavData updates that most IFR-approved GPS units use. A notice from Jeppesen (PDF) reported that the company anticipated adding LP data in “mid-2012,” but the data still aren’t available, and Jeppesen hasn’t updated its plans to include LP procedures. When the LP procedures are available in the database (and assuming the box you’re flying is approved for LP procedures and that you have the approved supplements to your AFM), you’ll be able to select an LP approach from the list of procedures for an airport and you’ll see an LP annuniciation when an LP approach is available. In this respect, preparing to fly an LP approach will be like loading other RNAV (GPS) procedures, and you’ll fly the procedure to the LP line of minimums printed on the approach chart. (d) LP. “LP” is the acronym for localizer performance. Approaches to LP lines of minima take advantage of the improved accuracy of WAAS to provide approaches, with lateral guidance and angular guidance. Angular guidance does not refer to a glideslope angle but rather to the increased lateral sensitivity as the aircraft gets closer to the runway, similar to localizer approaches. However, the LP line of minima is a Minimum Descent Altitude (MDA) rather than a DA (H). Procedures with LP lines of minima will not be published with another approach that contains approved vertical guidance (LNAV/VNAV or LPV). It is possible to have LP and LNAV published on the same approach chart but LP will only be published if it provides lower minima than an LNAV line of minima. LP is not a fail−down mode for LPV. LP will only be published if terrain, obstructions, or some other reason prevent publishing a vertically guided procedure. WAAS avionics may provide GNSS−based advisory vertical guidance during an approach to an LP line of minima (reference section 9.b for further information on advisory vertical guidance). Barometric altimeter information remains the primary altitude reference for complying with any altitude restrictions. WAAS equipment may not support LP, even if it supports LPV, if it was approved before TSO C−145B and TSO C−146B. Receivers approved under previous TSOs may require an upgrade by the manufacturer in order to be used to fly to LP minima. Receivers approved for LP must have a statement in the approved Flight Manual or Supplemental Flight Manual including LP as one of the approved approach types.